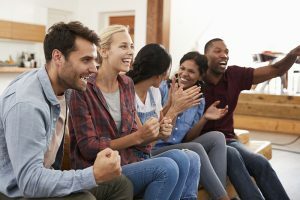 Whether you are hosting or attending a party to watch the big game, Aptos dentists Dr. Jason Drew and Dr. Allyson Drew suggest trying these foods to help maintain your oral health this season. Aptos dentists Dr. Jason Drew and Dr. Allyson Drew suggest choosing foods with fiber that help scrub away buildup and plaque on your teeth like apples, celery, and carrots. These types of snacks are an easy finger food, great for dipping and full of vitamins unlike greasy chips, or carb defense crackers. For more tips on how to maintain your oral health, or to schedule an appointment with Aptos dentists Dr. Jason Drew and Dr. Allyson Drew call 831-688-6060 today!